Today is a big day in San Diego as the horse race season begins with Opening Day at the Del Mar Racetrack! I have been attending this event for the last 5 years but because of work obligations, this year I will be unable to attend *tear* I will, however, be going a few times this season to place a quinella bet (I don't even know what quinella actually is, but I like to use the term because it makes me sound like a sophisticated gambler). The big thing on Opening Day, aside from the shenanigans, is wearing a big hat or (more popular after the royal wedding) a fascinator. You can see what I've worn in the past here to get a better idea of how fun it is to dress up for this event. 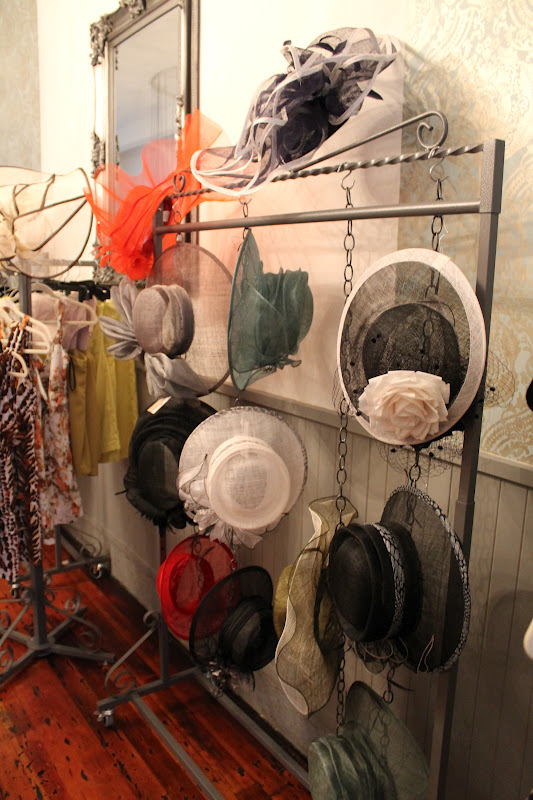 Usually a week before Opening Day, girls are scrambling for hats and the supply of hats in San Diego takes a huge dip! 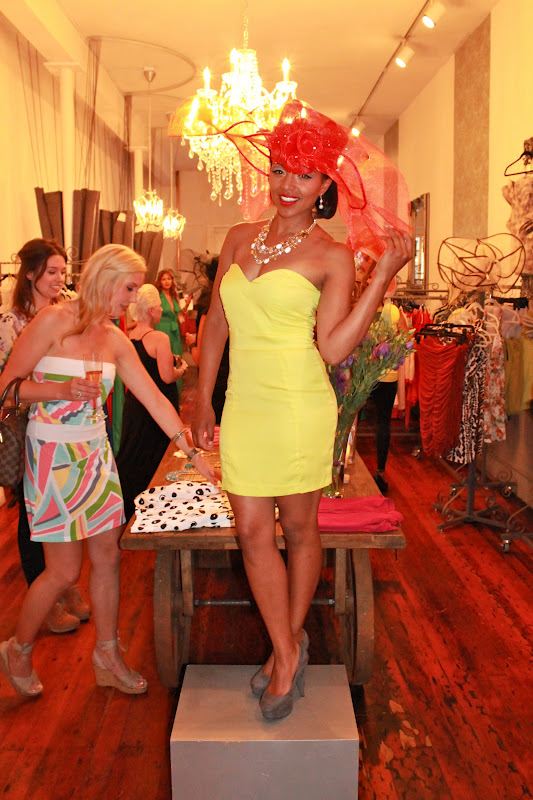 Last Thursday, Shopaholics Boutique did a great job not only supplying hats, but showing gorgeous ways in which to wear them in their Hat & Dress for the Races Party. 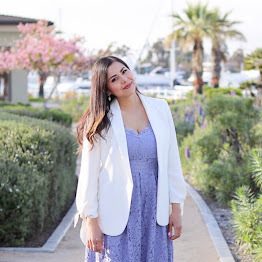 The added bonus, my fellow blogger and my San Diego Style Bloggers partner, Rachel modeled some adorable looks. Here's what I wore for the event... and most importantly, below are my favorite looks of the night! LOVE this look on my fellow blogger Rachel! you look amazing and this boutique is way to cute !!! love reading you pos you have the freindlist smile =) I"m in California hopefully one day we get to meet !!! wow looks like a very special event.love your outfit.that blazer and the shoes are wonderful! Wow looks like you had a fun time. And that boutique is super cute. I love it! You look fantastic in those coraly pants! That is super exciting! I love this outfit - fun but dressy! Those pants are gorgeous! Cool that they have the live mannequin theme. This looks like it was so much fun! Cute outfit, love how you styled those pink pants! OMG! You look so cute!! I love your heels!!! Loving the blazer!! Your friend Rachel looks gorgeous, she reminds me of a pinup girl. I'm going to have to check out this boutique, it looks like such a cute store! I love the Tux blazer it reminds me of JLO for some reason lol, looks like a fun event! Love it from head to toes. Totally loving those pants! Wish i had the nerve to rock them. You look great! Yay! Love that blazer, Pau! Another lovely outfit! I just love everything you wear. Looks like a fun event! Your shoes are AMAZE, perfect with the monotone up top and pop colour pants.